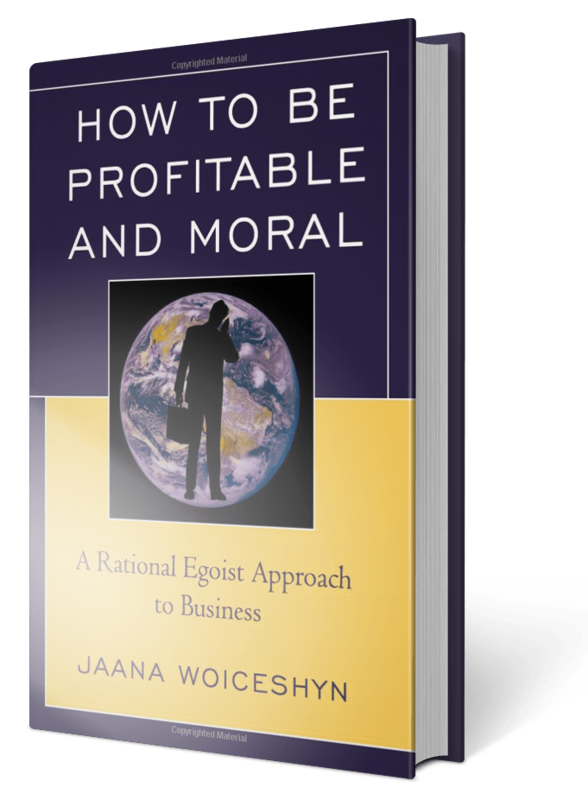 Upon receiving a copy of my book, How to Be Profitable and Moral, one CEO said: “I don’t want to be moral!” He was only half-joking, implying that being moral is a losing proposition. His view is shared by many businesspeople: morality is idealistic, impractical theory that does not recognize the real-life dilemmas of business. The reality of business is harsh, competition is relentless, and you cannot afford to uphold moral principles, they argue. To survive, to be profitable—to achieve your self-interest—you got to do what is practical, they claim. Sometimes that requires exploiting others; just make sure that you will not get caught, they advise. Consider this dilemma of a company CEO and majority shareholder. His company has been developing a new product for a major customer to replace older, near-obsolete products. If the product is not shipped out soon, serious cash flow problems will jeopardize the company’s survival and 300 employees’ jobs. When the first batch is about to be delivered, the final quality control reveals a problem: the product does not meet all of the customer’s specifications. What should the CEO do? Saving his company may require deceiving the customer but is clearly in his and his employees’ self-interest. It would be the practical thing to do, he reasons. Yet, morality requires him to be honest. There seems to be a conflict between what is practical and moral. But the CEO’s conflict is not real. What is moral is also practical. Let’s assume that the CEO in chooses what he thinks is the practical, albeit immoral, way out of his dilemma. That would entail various dishonest actions, such as shipping the product even when it does not meet the specifications, and possibly falsifying the company’s financial statements to get another loan from the bank. Achieving that would also require lying to the customer, to the bank, to the company accountants, to and to the shareholders. If the CEO is lucky, nobody will notice, he gets away with dishonesty and concludes that choosing the immoral path was indeed practical. But this conclusion is mistaken. The fact he may get caught is not the main point in arguing that acting morally is the practical choice. Immoral action is impractical because it is destructive, not only to the CEO’s victims whom he defrauds: the customer and the bank, but also to himself. There are all kinds of destructive consequences of his immoral action whether he gets caught or not. Upon finding out, the customer could end its relationship with this supplier, sue it, and let the rest of the industry know. If the bank finds out, it will pull the loan and most likely all previous loans as well and let other banks know, making it much harder for the company to obtain debt financing. Similarly, the company’s accountants would likely quit; and if they didn’t and went along with the scheme, how could be trusted in the future? The CEO could avoid all of the above if he does not get caught. However, his immoral action would still be destructive, and therefore impractical. The customer and the bank would be harmed, as would be the shareholders who could have preferred a different investment had they not been deceived. However, the CEO’s immoral action is also destructive to himself, even if he gets away with it in this particular case. He might have saved his business for now; however, his immoral action has a destructive impact on his mind—his main tool of survival. Once the CEO has acted immorally (defrauded the customer and deceived the bank), he must cover his tracks so as not to get caught. This requires further dishonesty and significant mental effort, as he has to keep straight in his mind what lies he has told to which people—a difficult task, as he is dealing with lies and therefore cannot simply check the facts. Even if the possibility of slipping and getting caught does not worry him, he is firmly headed down the path of self-destruction. His mind’s focus necessarily shifts away from dealing with reality—which the success of his business demands—to deceiving and exploiting others: customers, bank, employees, shareholders—on whose successful functioning his own success depends. The only practical solution to the CEO’s dilemma is honesty to the customer and to the bank. The moral is the practical—that is the reason why you want to be moral. Excellent post, Jaana, as always. This is the kind of “chewing” that is needed to save the world. Thanks, John! Please spread the word and share if you can. What if I am acutely aware that what I presently think is in my own best interest will not always be as such in hindsight? What if, in deep and completely honest reflection of my past, I find that I have made decisions that were in fact against my own self interest, though they seemed the opposite at the time? I hope it wouldn’t be presumptuous of me to assume that we all would agree these are not hypotheticals, but indeed realities. Does rational egoism not necessitate a sort of impossible omniscience to be a viable foundation of ethics? Pardon my forwardness, but I am trying to wrap my head around unashamed self-interest as a virtue. It can certainly have practical benefits (though I’m not yet sure that statement isn’t a truism), and we are certainly self-interested by nature–thus, economic systems built upon this idea are successful–but self-interest as a transcendent *virtue* is hard for me to grasp. Thank you for the question, Wesley, and apologies for the tardy reply–I have been on vacation with no Internet access. Rational egoism (or Objectivism) does not presume omniscience. By observing others or through introspection we can conclude that we humans do not have automatic knowledge about anything. We are fallible because of our volitional nature–and that is the reason why we need ethics, or moral principles, to guide us in achieving our values in the long term. The knowledge we have of reality is contextual, always tied to the present state of our understanding. It is entirely possible to conclude honestly, if mistakenly, that something is in our self-interest, and later come to understand (as our knowledge increases) that it is not. For example, a child can think that it is in his self-interest to steal candy from the store to satisfy his craving for sweets. However, as his knowledge expands, he comes to understand that stealing, or any other form of exploiting others, is not in his self-interest, because it destroys values one needs in the long term. You seem to think that we should be omniscient and automatically know what is in our self-interest–however, humans are not omniscient and self-interested by nature. We have acquire knowledge of values that are proper for our long-term survival and flourishing and also of means (virtues) of achieving them. Part of acquiring such knowledge is learning from past mistakes (such as mistaken beliefs of self-interest) and getting a better grasp of what our self-interest requires in thought and action. Note that virtues are always means to values. If survival and flourishing are values, then selfishness is a virtue. If self-sacrifice for the sake of others is a value, then selfishness would be a vice instead of a virtue. The fundamental question comes to this: Do you want to survive and be happy, or not? The answer determines the requisite virtues. Thanks for the reply. I believe your response has clarified my thoughts on rational egoism. Objectivism seems, ironically, much more subjective than I would have expected. A virtue today may very well be a vice tomorrow. If I have misunderstood, please do correct me. Thanks for taking time out to answer my ignorant question! Wesley, I am afraid that my reply have not clarified your thoughts–because your conclusion is mistaken! Objectivism (and its ethics, rational egoism) is not subjective (that would be a contradiction in terms …) at all. You are confusing “subjective” and “contextual.” “Subjective” in ethics means that there are no standards beyond a person’s whims: anything you want to do qualifies as moral. “Contextual” in ethics means that there are not dogmatic rules, such as “Always do X” or “Never lie.” But there definitely is an objective standard, which in Objectivism means the requirements of human survival and flourishing (in Ayn Rand’s words, “man’s life”)–please see my latest post, ‘How to be happy’–it was inspired by your question. Objectivist moral principles are contextually absolute, not dogmatically absolute (such as “Never lie”). For example, the egoist principle of honesty: “One should not fake reality in order to gain a value” is contextually absolute: it says that we shouldn’t fake, because values cannot be gained by faking. But it does not say: “Never lie,” because there are contexts in which telling the truth would be anti-human life, such as when someone is trying to take a value away from you by force (such as a thief or a terrorist). When a drooling maniac comes to your door and asks where your children are, by the egoist principle of honesty, you should not tell him the truth. As for something turning from a virtue to a vice, or vice versa, it will not happen, after a valid moral principle (virtue) has been idenfied, such as honesty, integrity, justice, etc. However, it is possible for a person to believe that “Never lie” is a valid moral principle, but once his knowledge increases, he will come to understand that it is not, but honesty, in the egoist sense is. If you want more clarification, I recommend you read my book, or Tara Smith’s “The Virtuous Egoist: Ayn Rand’s Normative Ethics” (2009).